​All Bernard wanted to do while staying with his grandparents in Elmdale for the summer was work on his basketball skills so he could make the freshman team. But when greed threatens to destroy the small basketball town's legendary park, he takes action and attempts to win a big tournament to save it. Courage and determination shine as he and his team try to help restore the town's park and legacy to its previous glory! 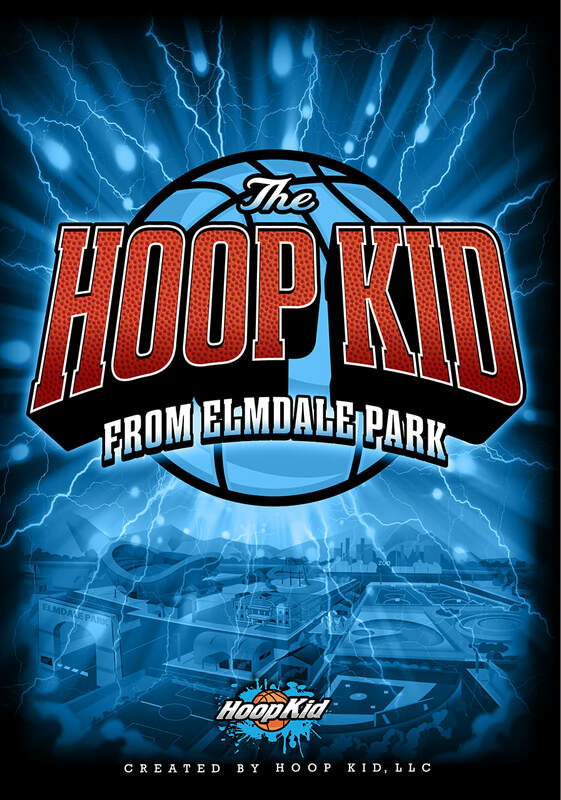 The Hoop Kid from Elmdale Park is a fun middle-grade sports-fiction novel with a touch of fantasy and futuristic tech. It's an underdog story with heart and humor and illustrates the importance of courage, teamwork, friendship, and respect. The story follows six teenaged basketball-fanatic friends, who are recruited to be a top-secret team of specially-trained space-alien hunters who disguise themselves as NBA ball boys and girls. They take on the responsibility of saving the game of basketball on earth from being destroyed by a mysterious space-alien threat. But to do so, they’ll ultimately need to overcome their doubts and fears and band together as the ELITE SQUAD. An exciting basketball adventure both boys and girls will love. This fast-paced middle-grade read isn't just about basketball, spaceships, and cool sneakers, it covers crucial topics such as the importance of friendship, teamwork, and pursuing your dreams. BERNARD JONES IS GOING PLACES, is a fast-paced, action-packed middle-grade chapter book that follows the adventure of Bernard Jones, a brave yet sheltered small-town boy who dreams of traveling the world like his grandfather, a famous globetrotting photographer, and relic-hunter. That dream suddenly becomes a reality when Bernard accidentally receives a magical ancient relic from his grandfather, for his twelfth birthday that has the power to teleport him to any place in the world. Bernard is ultimately transported into a dangerous mission to save his grandfather from a trio of ruthless thieves who are after the magic relic. Bernard must be courageous, responsible, and creative to save his grandfather, keep the ancient relic safe, and get back home before his overprotective parents find out. A fun middle-grade chapter book, full of mystery, magic-realism, and adventure! Kids will relate to Bernard's natural curiosity, imagination, and his longing for independence and freedom to explore and be adventurous.